Just outside the boundaries of the sprawling metropolis of Buenos Aires lie several options for day trips that will feel like a world away. Take the ferry across the river to the historic Uruguayan town of Colonia, head north of Buenos Aires city to the river side town of Tigre, with its colorful summer houses built around a warren of waterways, or unleash your inner gaucho in the Pampas towns of Lujan or San Antonio de Areco, where you can go horse- riding and have an asado (barbecue) at an estancia. 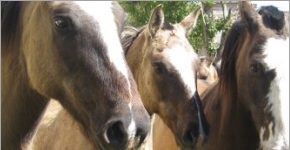 Click here for more info on our recommended private estancia day trip. 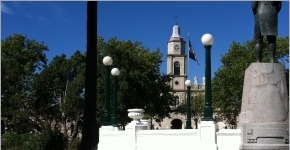 Take in the rural town of San Antonio de Areco, a working ranch (estancia) & the surrounding Argentina pampas (the land of the gauchos) on this premium & private day trip. 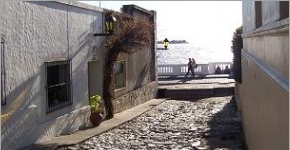 Colonia del Sacramento is a world apart from the hustle and bustle of Buenos Aires city, an excellent day trip across the river that offers you an opportunity to relax in a peaceful, beachfront town in Uruguay.